size | 6,947 sq. ft. BUILT IN 1987 THIS STATELY HOME SITS ON AN EXPANSIVE PRIVATE BLUFF LOT WITH CAPTIVATING VIEWS. RENOVATION BY NOTED BUILD AND DESIGN DUO WEST BAY HOMES. NEW: HVAC, ELECTRICAL, DESIGNER LIGHTING FIXTURES AND EXTERIOR LIGHTING PACKAGE, WOOD FLOORING, PAD/CARPETING, MILLWORK, WALL, & CEILING PAINT, WINDOW COVERINGS, AND NATURAL STONE COUNTERTOPS. 5 BEDROOMS 7 BATHS. A CLASSILY ELEGANT FAMILY RETREAT FROM THE 8’’ WIDE PLANK WEATHERED OAK WOOD FLOORS, TO THE CIRCULAR SEATING AREA IN THE LIVING ROOM OFFERING SKYLINE VIEWS FROM THE CUSTOM DESIGNED VELVET CURVED SOFA. THE BLUFF RESIDENCE OFFERS A TIMELESS CHARM WITH AN ALLURE OF POLISH AND SOPHISTICATION. CLASSIC BLACK AND WHITE CHEFS KITCHEN FEATURES A PANELED SUB ZERO REFRIGERATOR WITH OVERSIZED BRASS AND LUCITE DOOR PULLS, STAINLESS STEAL TILE BACKSPLASH AND SUBSTANTIAL STORAGE + BEVERAGE COOLERS IN THE KITCHENS CENTER ISLAND. ORIGINAL RUSTIC WOOD PANELED 4 SEASONS SUN PORCH, 1ST FLOOR MASTER SUITE W/ REFINED SPA BATH, LOUNGE AREA, CUSTOM BUILT IN STORAGE CABINETRY, AND HIS/HERS WALK IN CLOSETS. 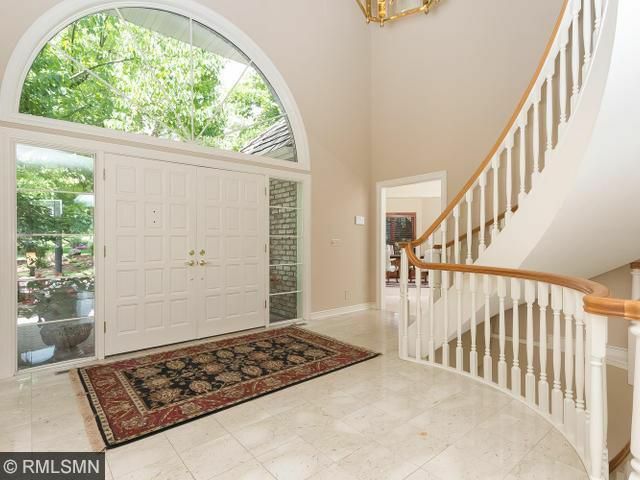 BASEMENT BAR, THEATER ROOM, IN LAW SUITE, 4 CAR GARAGE, ON A SWEEPING WALK OUT LOT. THESE ARE JUST A FEW OF THE INSPIRING HOME FEATURES IN THIS GRACEFUL AND IDEALISTIC PROPERTY RENOVATION PRODUCED BY WEST BAY HOMES.